Full day coverage. I like to be around for as much of the day as possible, watching as your story unfolds in front of me. It means up to 10 hours of continuous coverage, from getting ready, until the dancing is well underway. I always stay for at least an hour after the first dance to get lots of dance floor action. High resolution images. At least 500 individually edited photos delivered on a USB flash drive with full rights to non commercial use. You can print and share these images with your friends and family. Duplicate set of low resolution images. These are great for emailing, social media, etc. Online wedding gallery. Private gallery for you, your friends and family. Plus, an option to order prints directly through my site. Pre-wedding assistance. From the booking process until the day you receive your photos, I'm always available to meet, chat, offer advice, and answer any questions you may have. PLEASE COMPLETE THE FORM ON MY CONTACT PAGE TO CHECK MY AVAILABILITY AND TO RECEIVE A DETAILED PRICE LIST. Engagement photo shoot. Great way to get used to the camera and get some relaxed shots of you as a couple. You can use these for your book, for a wall, or for a signing board on your wedding day. Second photographer. Additional photographer on your wedding day for some extra coverage. I am also happy to quote for reduced coverage for small weddings or elopements. Not all the weddings are full day events and big celebrations, and if that's your case, feel free to write me with details and I'll give you a bespoke price for your special day. Reduced prices are available for mid-week days (Monday through Thursday) and off-peak months (Jan, Feb, Mar and Nov). There is nothing like having something tangible to take away from your wedding. I believe that the best complement to your wedding photos is a wedding album. It’s especially true with a photojournalistic wedding photography where to tell a story, the emphasis is put on a group of pictures. The album will show your images as part of a larger narrative. While each individual image should work well by itself, together they will truly show a complete story of your special day. Fine art wedding albums. The quality of the album is extremely important to me and that's why I use Folio Albums. Handmade in the UK, printed on fine art quality paper using the latest pigment based archival inks. They open out flat with an almost invisible crease, so each image is on full view. Covers are available in a wide range of colours and materials with various personalisation methods. These albums really have the WOW factor. Wedding photo books. Modern, simple and stylish, they match the format and style of my favourite photography books. 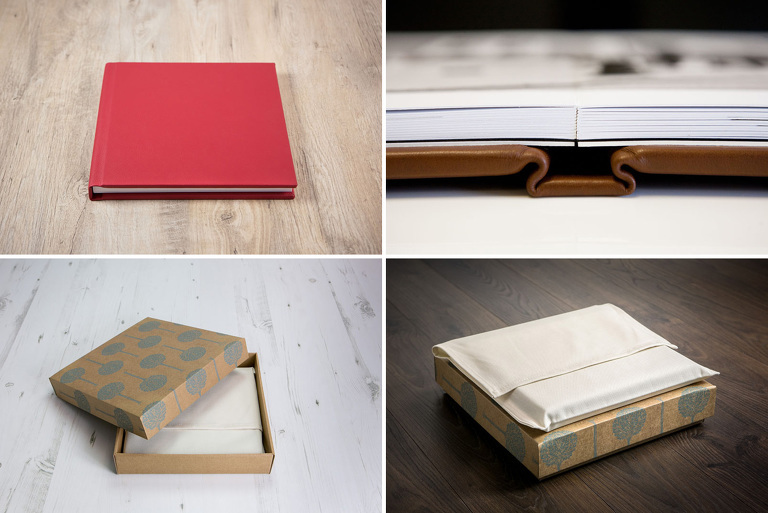 These lay-flat bound books are made using genuine photographic paper. matte). Lay-flat binding is ideal for having an image across a double page spread as there is no gutter, meaning the image is printed completely uninterrupted across the spine. Each wedding album is individually designed to match the mood and story of your wedding day. At first we'll simply go through your images, choosing the ones you want to include. Then I'll put them together and send you a project. You'll be able to make changes as many times as necessary and only after you approve the final version, it will be sent to production.